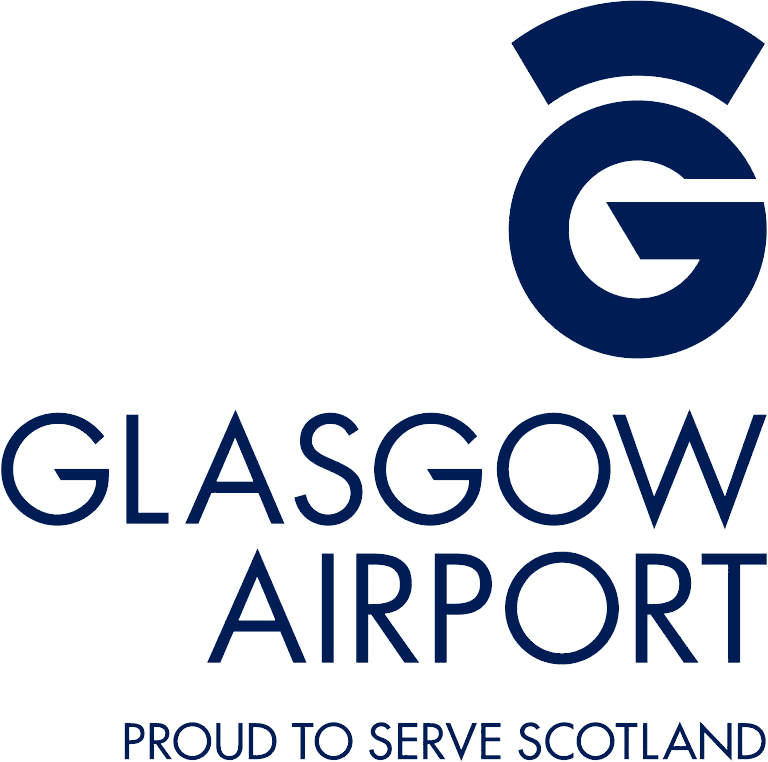 European Athletics Indoor Championships is delighted to announce a new partnership with Glasgow International Airport for the upcoming Championships in March 2019. Carrying over nine million passengers per year, Glasgow Airport serves more Scottish destinations than any other airport and will play the essential role in welcoming some of the world’s leading athletes as they descend on the Emirates Arena between 1-3 March 2019. European Championships 2018 and Commonwealth Games 2018 Bronze Medallist, Jake Wightman, has today played a part in announcing the new partnership. 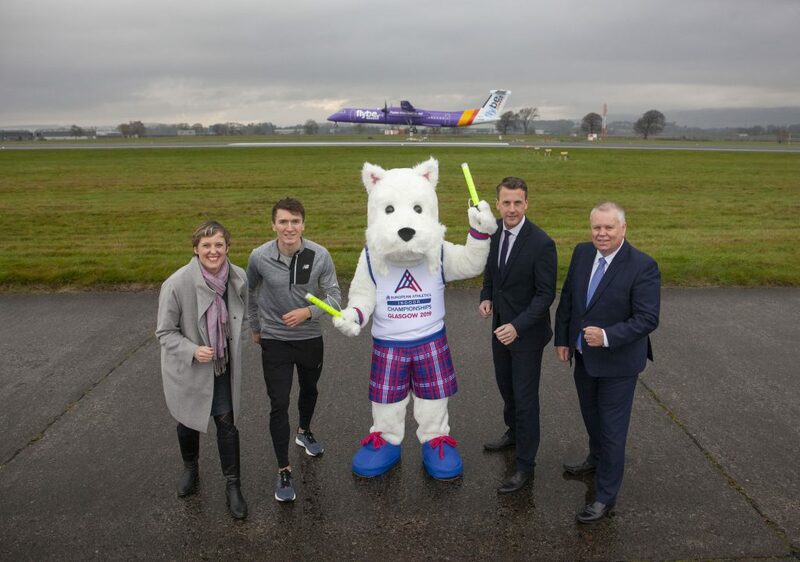 He was joined by Glasgow 2019 Championships Director, Joanna Sutherland, Regional Director at EventScotland, Jim Clarkson, Glasgow Airport Managing Director, Mark Johnston and of course the recently unveiled ‘Scottee’ the Scottie dog all jumping on board to celebrate Glasgow Airport supporting the Championships in Glasgow next March. In the lead, up to the Championships, Glasgow Airport will proudly display its support of the European Athletics Indoor Championships 2019 with in-airport branding and spread the word of what will undoubtedly be an unforgettable event for the city. They will also play a key role during event time as they prepare to welcome up to 600 athletes, 400 coaches and team staff from over 45 countries. Six sessions will be competed across three action-packed days of competition, with qualifiers and finals contested every day. Medals for events such as the Women’s 3000m and Men’s Shot Put will be up for grabs on day one. Meanwhile, the Men’s Pole Vault and Women’s 400m will be among the highlights on day two, with both the Men and Women’s Long Jump, 4x400m Relay, and 1500m all featuring on an exciting final day. 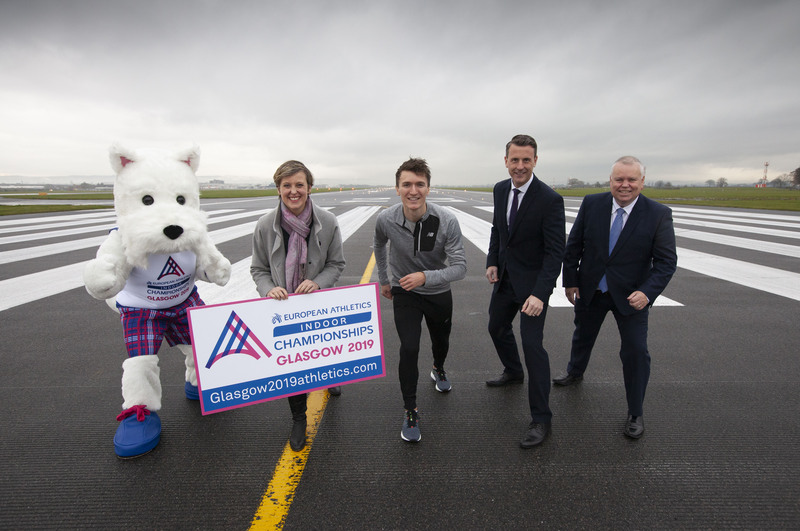 “With a major athletics event next on the cards for Glasgow it was important to obtain strong partnerships in order to make the Championships a truly unforgettable occasion and I’m so delighted Glasgow Airport has committed,” said Wightman.